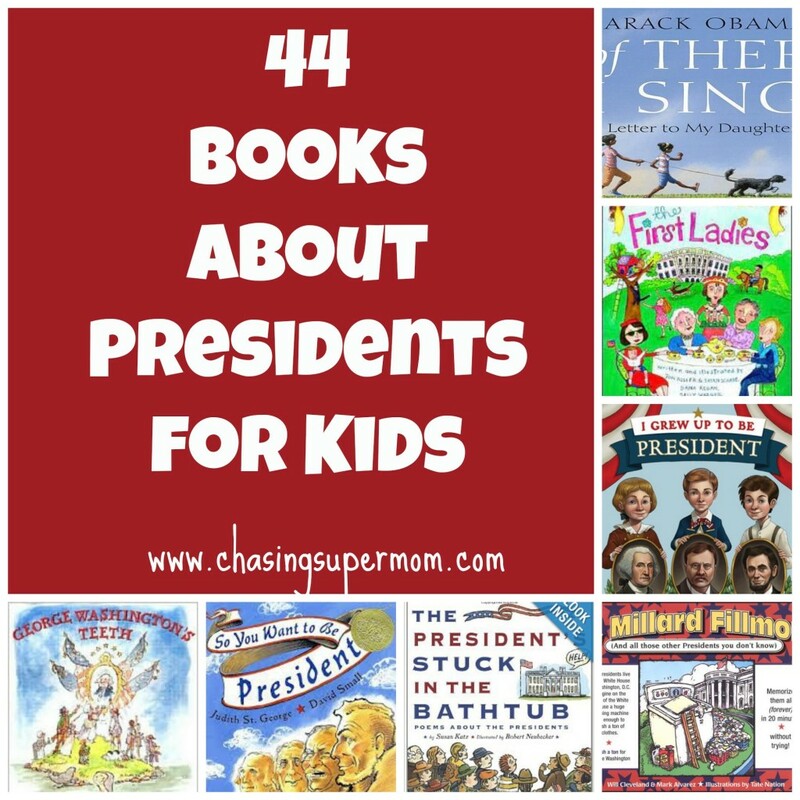 Kids and parents will love this list of books about presidents! In just over a week, we will be electing our president. While many parents may be tiring of all of the political ads, rants on social media, etc., election years are wonderful opportunities for parents to begin dialoguing with their children about politics. Now is a fantastic time to discuss past presidents, the importance of voting, the electoral college, vice presidents, first ladies, the white house…the list goes on and on! I have compiled a list of 44 books (in honor of each man who has served our country) about the presidents for you to share with your child. Let’s raise up a group of children who love their country and respect their civic duty. *I also included a bonus list of fiction books that surround the general presidential theme. 31. Time for Kids (Biographies) This series has great books on Kennedy, Obama, and Roosevelt to name a few!